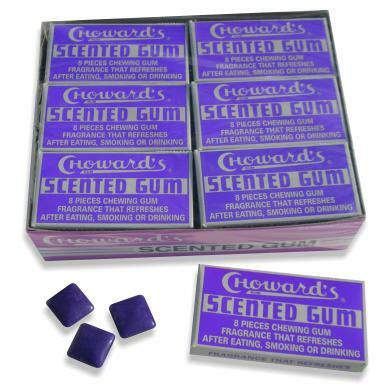 Here is a classic: Choward’s Gum has been in the market for a long time in the US, but is a bramd that does not appear in the statistics, overshadowed by the giants Wrigley, Mondelez, Hershey and Perfetti. Interestingly, it is a gum with sugar, which is not common at all. Still some classics with sugar stay in the market (i am thinking “Doublemint”, “Big Red”, …), but as you know, it is a segment that has been showing a steady decrease for many years.